It’s not Ebola we have to worry about, but the way that news outlets, politicians, and pundits have used the disease to advance their own causes. I have been frightened ever since our colleague Dr. Craig Spencer was diagnosed with Ebola. Make no mistake; I am not at all concerned that I might catch it. I am, however, terrified of a new and rapidly spreading disease: Ebolanoia, the irrational fear of contracting Ebola, fueled by irresponsible politicians and fear-mongering pundits. I worry that, if unchecked, this scourge could be the cause of devastating social upheaval and economic disaster. It’s already having a profound impact. My concern started escalating on the morning of Friday, October 24, the day after it was announced that Spencer had contracted Ebola. He had been taken to Manhattan’s Bellevue Hospital Center for treatment, but had spent time on a subway, at a restaurant, in a bowling alley, and walking in a park in the days prior. One of the staff in my building stopped me, nearly in tears and clearly lacking sleep. “Am I going to get it?” he asked. “I rode on the subway yesterday.” Even though he had heard that Ebola was not transmitted except when the person was symptomatic, and then only from bodily fluids (vomit, blood, bowel movements, but not sweat), he still needed the reassurance of a trusted and familiar expert. “They keep saying he started an epidemic here” he exclaimed. Bellevue staffers are calling in sick because our colleague is being cared for there, and they are supposedly better educated about Ebola. Later that day, I was riding an uncrowded subway. There was a bit of dust in the air and I sneezed. This was not the first time I have sneezed on a subway, of course, but I’ve never seen this kind of response. I had covered my face with my arm, but as I looked up, a woman seated several seats away glared at me, got up, and moved away. Imagine the economic disaster caused by a New York where people, for a start, refuse to ride the subway. Farfetched? Clearly not if we don’t do a better job of educating the fearful public, and countering the misinformation. 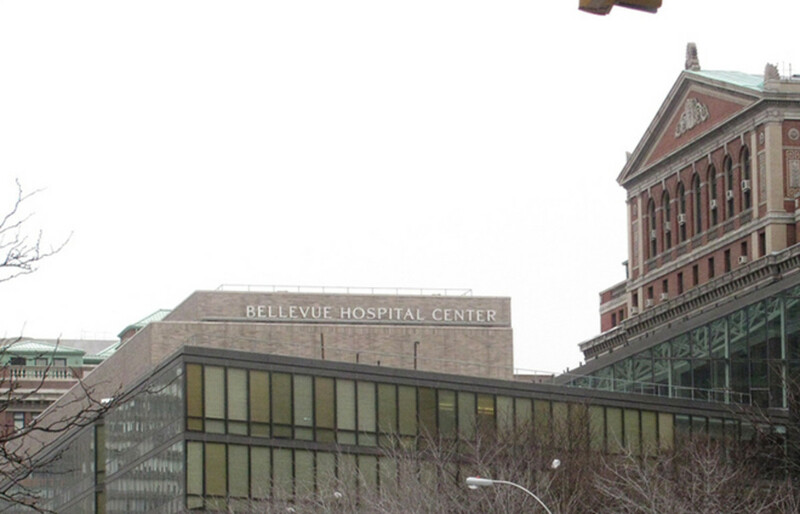 Bellevue staffers are calling in sick because our colleague is being cared for there, and they are supposedly better educated about Ebola than the general public. Or perhaps they just don’t want to deal with the sea of news reporters camped out in front of the hospital. I counted nine trucks with satellite dishes and network logos when I drove by one evening. I spent last Saturday afternoon at an information session on Staten Island, sponsored by the local city councilwoman, in solidarity for local individuals from affected countries in Western African, and the community at large. Representatives spoke passionately and specifically about the racist attacks that have already occurred, and pleaded for unity, brotherhood, and sanity. 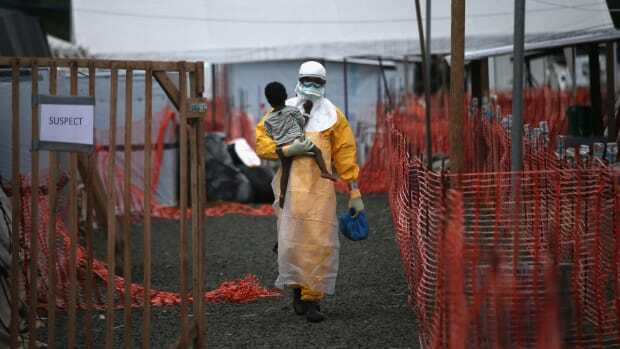 Ebolanoia could spark a surge in the horrible racism that is building in this country like a pressure cooker with a clogged valve; the way the outbreak has been reported hasn’t helped. 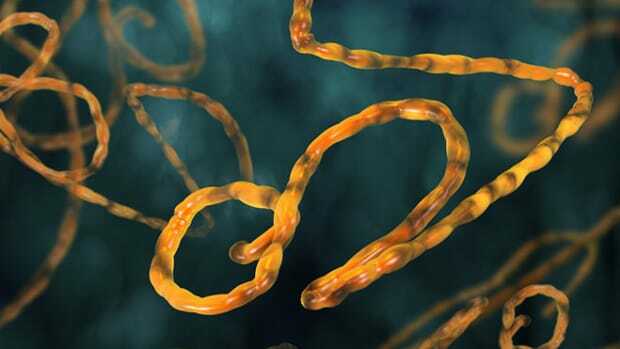 From the outset, news outlets, politicians, and pundits have been spreading Ebolanoia in service of their own agendas, stirring up mistrust of the government and unwarranted fear, with pseudoscience and outright falsehoods. 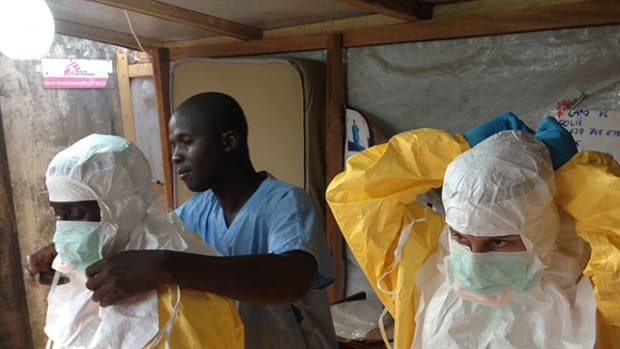 I wonder, why do we not hear about how many of the thousands of health care workers with Doctors Without Borders in Western Africa are not infected, as opposed to the very few who are? This outbreak came at the worst possible time—election season—and became bipartisan fodder for attacks at everything from the competence of the administration to austerity. Ebolanoia is being used to support calls for a militaristic response and closing of the borders. Large news outlets and loud politicians have joined forces to claim that Ebola is a terrorist plot. The left blames the outbreak on the right for cutting aid; the right attacks big government for being ineffective—and the public is left with no one to trust. Leave it to our premier medical expert Donald Trump to weigh in with more blame and anger. My favorite tweets in response to Trump ask whether he blames Reagan for AIDS, since Ebola seems to be the fault of President Obama. Instead of stirring up fear and hatred, we need calming influences. We need responsible reporting. Our leaders need to stop destroying their own credibility by issuing misconstrued and panicked orders. 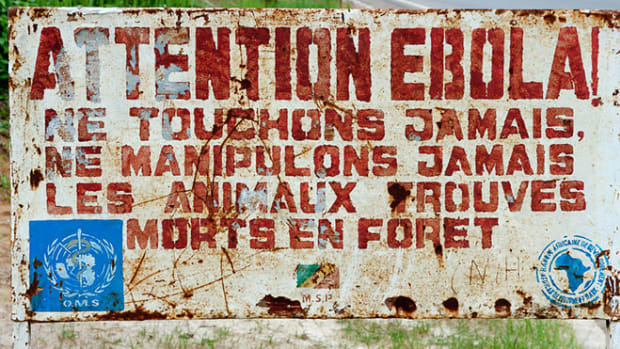 Ebola is not that easy to transmit, but Ebolanoia is. 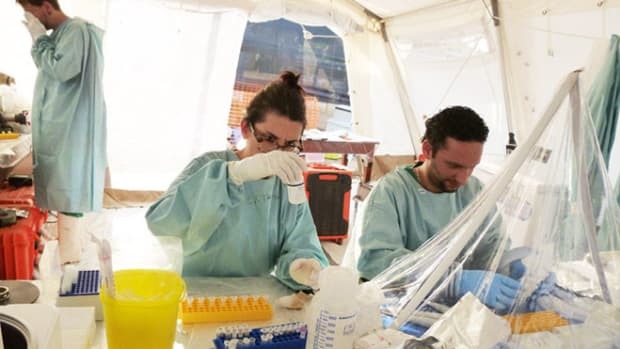 Ebola, at least thus far in the hands of the better U.S. hospitals, has an excellent survival rate, not anywhere near as fatal as it is in an overwhelmed medical system. 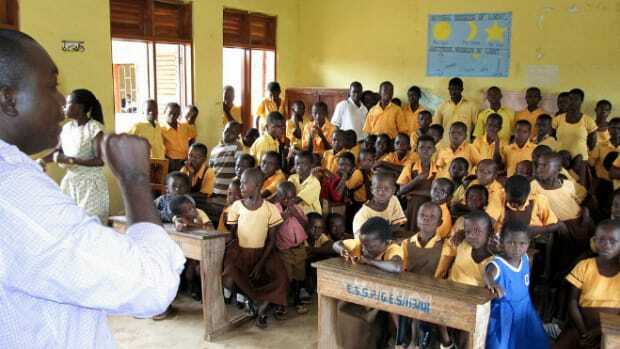 But our society, and our economy, will take a long time to heal if we let Ebolanoia spread its ugly message of blame, fear, and divisive hatred. Why Hasn't This Strain of Ebola Been Stopped?